Died on April 22nd, 1945 aged 31 years. 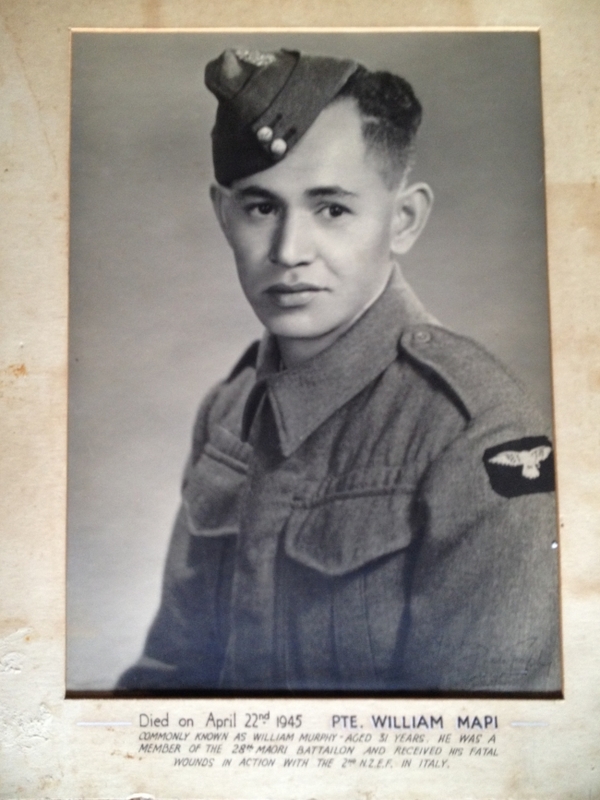 Pte William Mapi, commonly known as William Murphy. He was a member of the 28th Maori Battalion and received his fatal wounds in action with the 2nd NZEF in Italy.